Sony plans to sell large size organic light emitting diodes (OLED) TV worldwide in summer 2017, according to Nikkei’s news. It aims to increase its sales via next generation display technology. OLED can present more vivid color, and higher contrast ratio, with faster processing speed. Sony’s OLED TV will use LG Display’s panels, with Sony’s researched image processing technology. It will be unveiled to the Europe, USA, and China markets in spring 2017. Although the price is not officially finalized yet, generally speaking, a 65-inch OLED TV price amounts to about one million Japanese Yen (about NT $274.6 thousand) according to the news. If this OLED TV sells well outside of Japan, then Sony will sell it in Japan in the future. Even though currently a 65 inch liquid crystal display (LCD) TV average price ranges from 300 thousand to 400 thousand Japanese Yen, Sony still focuses on OLED TV models in the high-end market because they will provide TV gaming users more splendid image quality and faster response speed. The news further pointed out, Sony believes that OLED TV and Sony PlayStation TV gaming console will generate a synergy effect. Strong sales of high image quality 4K LCD TV contributed the first-ever profit in 2015’s financial year for the past 11 years. 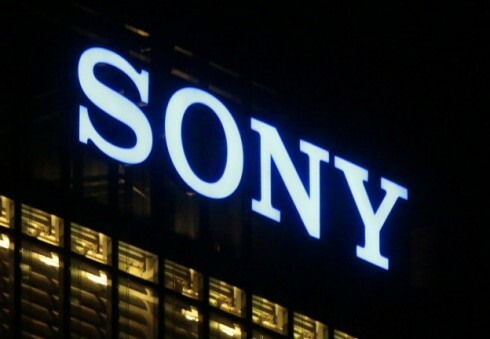 However, even though TV sales occupied more than 30% of Sony’s new media sales, the sales figure has been decreasing year by year. Therefore, from Sony’s perspective, OLED TV is expected to stimulate Sony’s high-end TV market performance and rise the total sales. Sony launched the first-ever OLED TV globally in 2007 (the size then was 11-inch). However, it was not received favorably in the market, and batches of TV led to a huge quantity of inventory. This product eventually was taken off from shelves in 2010 in the Japan market and exited overseas markets. Although back then the market performance of OLED TV was less than Sony’s expectation, OLED TV’s image quality was apparently superior to then existing LCD TV’s. Consequently, consumers were impressed by the OLED TV, and OLED as the next-generation display product became a solid concept. Currently, OLED product takes about 1% of global TV sales’ share. Among OLED TV brands, Korea’s LG Electronics leads the sector by the highest sales. Japan’s Panasonic debuted 65-inch OLED TV in Europe in 2015 with a price tag of 1.2 million Japanese Yen. Now Panasonic plans to expand this product’s market to Japan and Southeast Asia. Meanwhile, another Japanese home appliance giant Toshiba also strives to develop OLED TV on its own. As for Korean Samsung Electronics, it does not yet plan to exit OLED TV sector. Hence, with factors above, Sony boldly enters the OLED TV market with hopes to gain new growth momentum. LG Display dominates OLED TV panel supply. Thus, in the competition of securing critical components of OLED TV, Sony obviously stands in the underdog position compared with LG Display. Nevertheless, as material science and production technology develop, Japanese manufacturers are trying to change the status quo. For example, after Idemitsu and Sumitomo research for many years, they have considerably narrowed their competitors’ lead by increasing longer OLED TV material life span. Moreover, Canon Tokki, a subsidiary of Canon, developed the fine metal mask (FMM) evaporation equipment necessary for producing high resolution OLED panel. Canon Tokki has led the niche market and created astonishing profits. From panel makers’ point of view, without Canon Tokki’s equipment, OLED panels cannot be manufactured stably. OLED TV penetration rate is significantly determined by OLED panel capacity. Therefore, with anticipation from the market, more panel makers are devoting their effort in developing OLED panel capacities. JOLED, a subsidiary of Japan Display Inc. (JDI), is developing large size OLED display panel for TV products. Both JOLED’s stakeholders (Sony, Panasonic, and JDI) and Chinese BOE Technology are working on OLED panel development. Among the top six TV brand shipments, Samsung, TCL and Hisense are still the strongholds of enhancing LCD technology. As for LG and Skyworth, they clearly joined the OLED camp. As a result, when Sony joins the OLED camp, the competition between LCD camp and OLED camp reached a balance. That means, in 2017, the two major display technology camps might start an evenly matched all-out war.